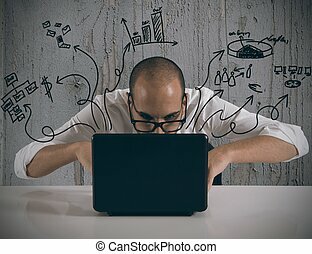 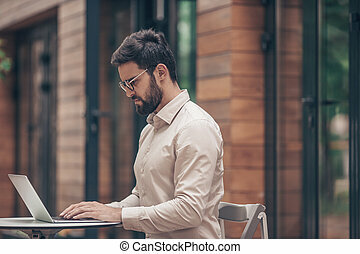 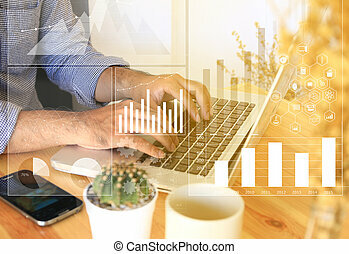 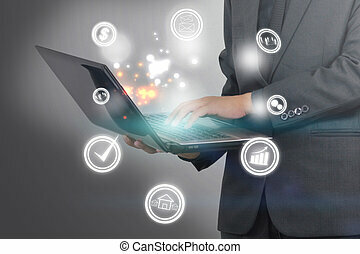 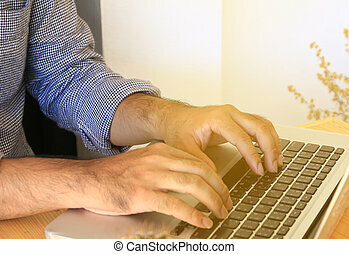 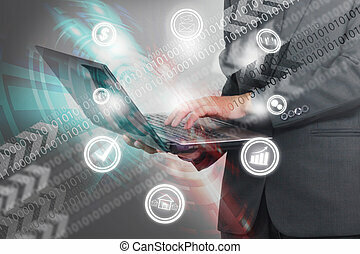 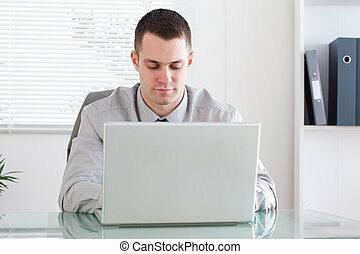 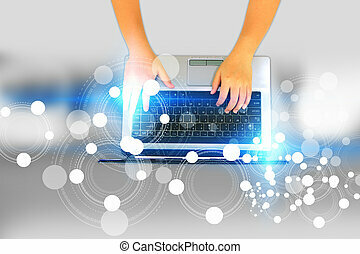 Man working with laptop and business graph interface on screen. 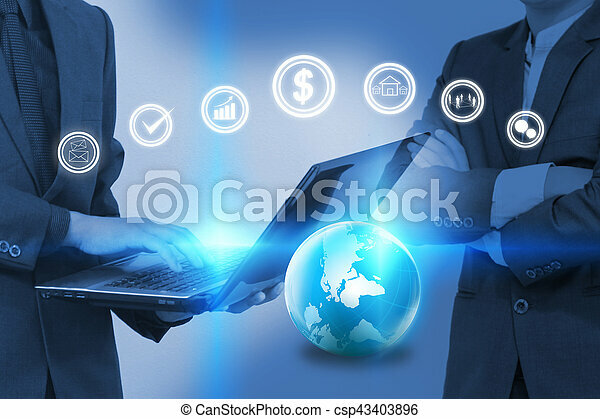 Global business on laptop and business icons. 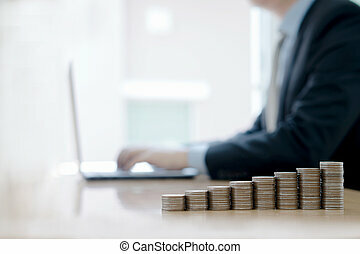 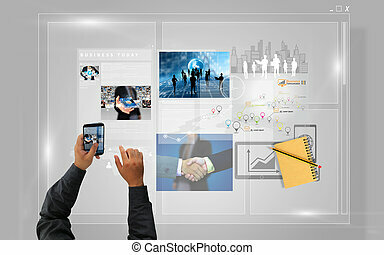 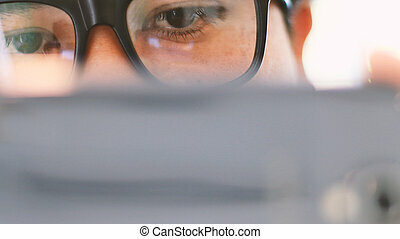 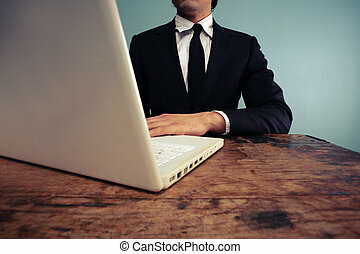 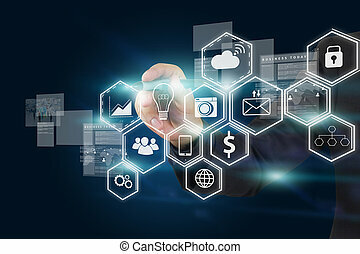 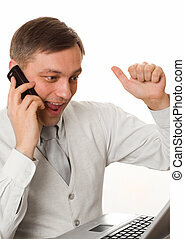 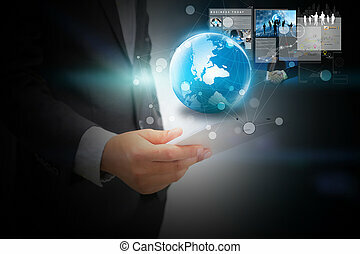 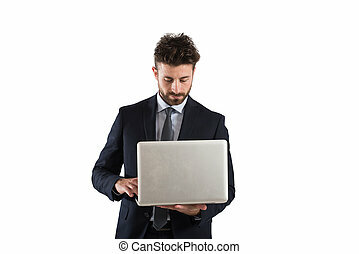 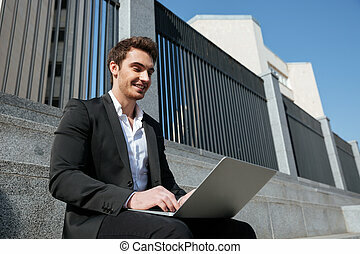 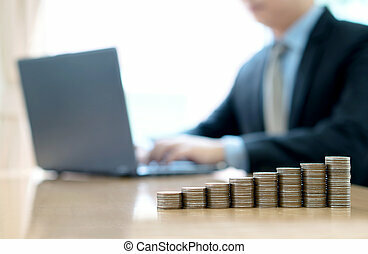 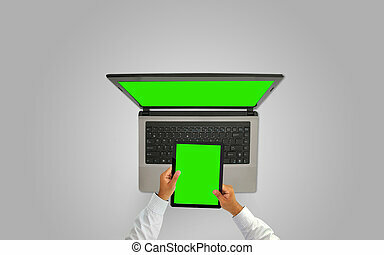 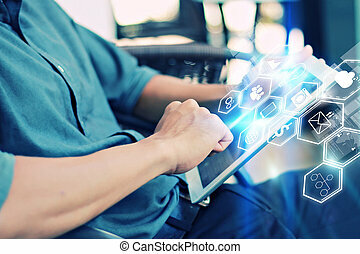 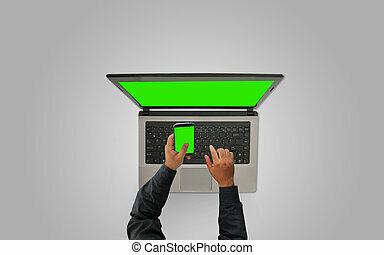 Businessman working on virtual screen with application icons of social media. 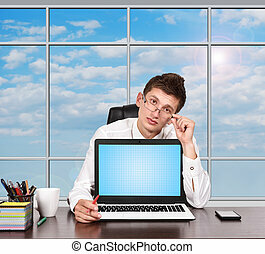 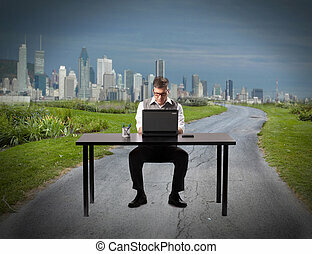 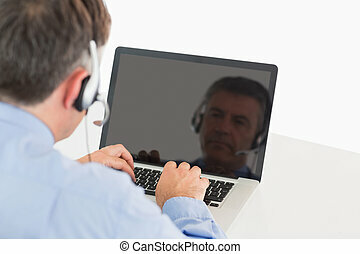 Businessman working on virtual screen.